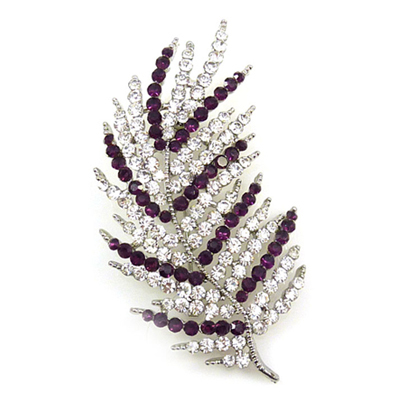 Small feather brooch encrusted all over with amethyst and clear crystals on a silver frame. Size: 3.5 x 6.5 cms. Available in other colours and sizes.